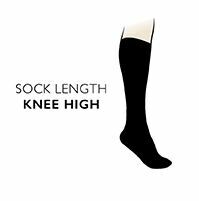 HJ Hall Flysafe Cotton Flight and Travel Socks are compression wear that have been specially designed by the longstanding sockmakers to use as an aid in the prevention of DVT in long distance travel, whether it is by plane, train or in a car. Flysafe are discreetly styled to look like ordinary socks under jeans or trousers. The compression effect can also assist in relieving tired, swollen or aching legs. Flysafe socks are made in a cotton rich blend with a high Lycra content, and are suitable for all age ranges. Compression value tested to Class 1, these socks are clinically proven to help increase the blood flow to the heart.